River Cruise Advisor’s Ralph Grizzle is currently sailing aboard CroisiEurope’s Botticelli in France. The first installment of his Live Voyage Report is posted below, and we’ll continue to post updates from his first journey with CroisiEurope as he files them. Our Air France flight touched down at Charles de Gaulle International Airport shortly after 3 this afternoon. We had come to the City of Light to experience something different: an eight-day cruise along the Seine on the low-price leader in river cruising. 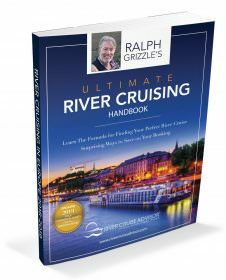 CroisiEurope has been operating in Europe for nearly four decades, but with river cruising’s popularity surging in the English-speaking world, particularly among North Americans, the Strasbourg, France based company is ramping up its efforts to attract Americans and other English-speakers onto its fleet of 40-plus ships. Last year, the company began to forge its way into the North American market, hiring a New York-based public relations firm and, this year, hiring a director of sales for marketing in the United States. 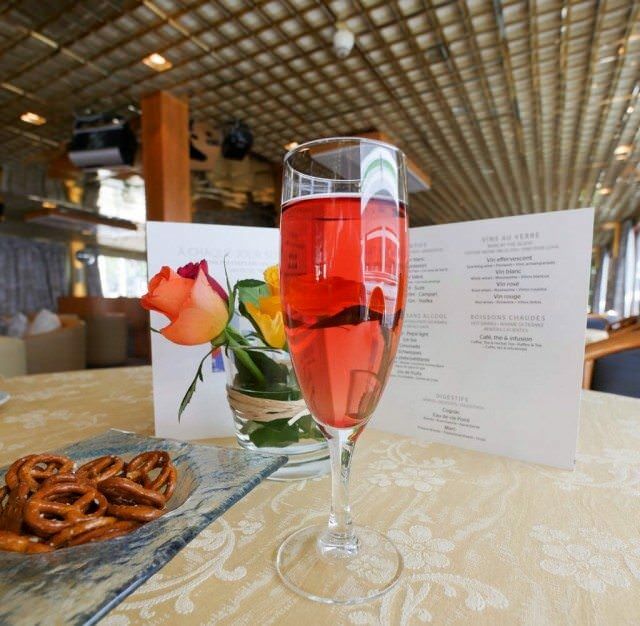 To garner media coverage, CroisiEurope has invited journalists to experience its product. The company invited me to sail the Seine for the purposes of this review. What is CroisiEurope’s most distinguishing feature? Its prices. My 8-day cruise started at $1,488 per person on the company’s website. And that price included wine and beer with onboard meals — and all drinks consumed at the bar, excluding champagne and some of the premium cocktails and special wines. WiFi is also offered free of charge on board, and of course, all meals. 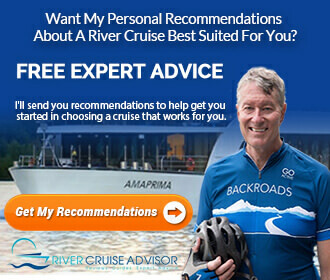 With cruises beginning at less than $200 per day per person, CroisiEurope may just offer one of river cruising’s best bargains. But as someone accustomed to luxury ocean ships and upscale river cruise vessels, I wasn’t sure that I would appreciate CroisiEurope. I’m no snob, but could I acclimate to cruising on a budget-oriented product? As we were being driven across Paris to reach Quai de Grenelle Bateau, situated within walking distance of the Eiffel Tower, I wondered if I would enjoy the French food served on CroisiEurope? Would I get by on a vessel where French was the predominant language? What was included? What was not? Would I like my stateroom? About 45 minutes after leaving the airport, our driver brought us directly in front of Botticelli. She wasn’t as flashy as some of the river cruise vessels that I’ve been on recently, but after only a few minutes of my walking on board, I discovered that what Botticelli lacked for in polish, she made up for in charm. Botticelli had the feeling, not of a boutique hotel as do many other river cruise vessels, but of someone’s home — the home of an uncle or aunt or perhaps the grandparents. At first glance, the interior appeared a tad dated but showed little, if any, wear. The atmosphere was immediately warm and inviting, as was the staff, who casually welcomed us on board, with Tunde, the purser, handing over a key and instructing one of her colleagues to assist me to room 262. Adorning the walls in the reception area and along the corridors were oil paintings by Gerard Schmitter, who founded CroisiEurope nearly 40 years ago. Schmitter retired in 1999 and spent much of his remaining years painting canvasses, in a what I imagined to be an artist’s cabin, in the Vosges, a range of low mountains in eastern France. His paintings are largely still life, flowers and such, and they add to the charm of the vessel. 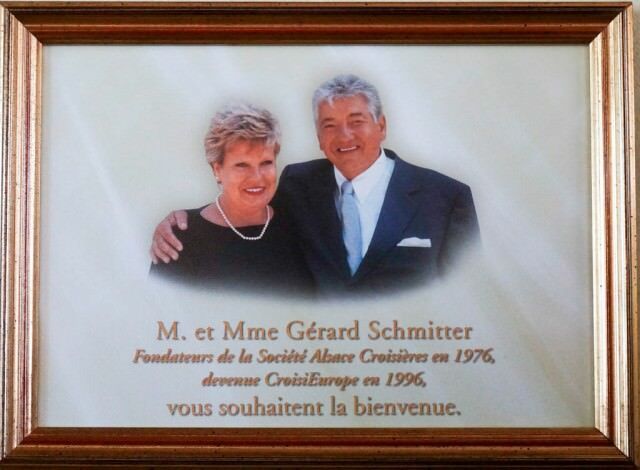 Nowadays, Schmitter’s children and grandchildren run the company from its base in Alsace. A small framed photo of the elder Schmitter, along with his wife, hangs behind the reception desk. The Schmitters looked as though they could be anyone’s grandparents. There is no mistaking that CroisiEurope is a family operated business, built on legacies that are both enduring and endearing. Our stateroom was along the corridor that led to the aft (and only) restaurant. The walk was not a long one, as Botticelli is a small vessel, measuring 110 meters and carrying only 151 guests. Unlike many of its competitors, Botticelli’s public spaces span only three decks, a lower deck with standard staterooms, a deck above featuring the reception area, lounge, restaurant and superior staterooms, and the sun deck. I inserted the keycard into room 262, a superior stateroom. My first impression was that while the room was by no means elegant, it was certainly adequate, clean and fresh.